Whether you are a first time fencer or a seasoned veteran, we will make you feel welcome! Experienced, intermediate, or competitive fencers with their own equipment are welcome to attend our adult training sessions at any time. These sessions are aimed at adults and older teenagers. Fencers below the age of 14 are better suited to our junior classes. Note: It is club policy that everybody fencing with us must be a member of British Fencing. 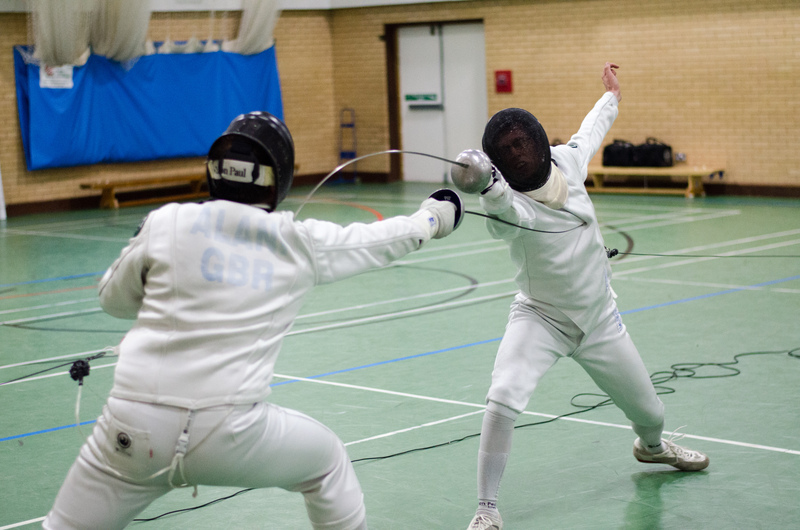 If you are new to fencing then sign-up as a beginner for a great introduction to the sport! Beginners can join the club at any time on a six week trial membership costing just £54.00. Participants will be introduced to fencing, the equipment and the rules, taught some basic moves, and get a chance to try the sharp end of the sport with some real life sparring in every session. 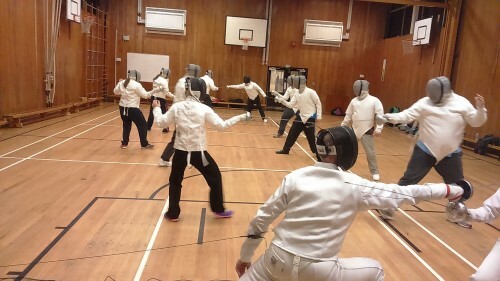 You will learn at our regular Thursday evening training sessions alongside experienced fencers. Click on the button below to download your application form. Places are limited, so it is essential to book in advance! If you return the application form by post please enclose your cheque for the course fee. To pay online by bank transfer, return the form by e-mail and we will get back to you with the account details. Gain confidence competing in a friendly environment with a chance to win a prize every half-term! This year Southampton Epee Club will be running friendly competitions for all our adult fencers on a regular basis. These events are for all abilities and levels of experience. The idea is to have fun and gain experience competing in an informal and friendly environment. We will aim to run one event every half-term. Visitors are welcome and especially encouraged on these occasions - the more, the merrier! The format will be informal and fun, with scoring that recognises every bout you participate in. Participation in the competition is included in your normal club fees. In other words, you pay the same as you would to fence at the club on any other night. Prizes to be won every time! Need another reason to join us? The winner each month will receive a £25.00 Leon Paul voucher as a prize! There will also be a style prize (different every time) to be awarded at the discretion of the coach.